DEX’s Managing Director, Rogier Donkersloot, discusses why Property Guardianship is a great solution to modern property security issues. Q: For the uninitiated, what is Property Guardianship? A: Recent research suggests that more than 11,000 UK homes are empty for 10 years or over. A report from the Centre for London from 2018 estimates that there is almost 30 million sq. foot of commercial space in the capital alone that has been vacant for over two years. That’s a lot of empty space potentially susceptible to damage, theft and squatting. In addition to this, there are estimated to be 200,000 empty homes also sitting dormant in the UK. Property Guardians pay a licensing fee, which is typically much cheaper than a traditional rent to live in a vacant building for a period of time. This allows a building to remain used and functional while generating income for property owners and building owners. With traditional rents in London ever increasing and pricing young professionals and workers out of the property market, Property Guardianship makes economic and social sense. Q: Why is Property Guardianship needed? A: Security is one of the biggest challenges facing owners of empty property. Whether property is commercial or residential, there’s no doubt that unused buildings or those awaiting refurbishment are vulnerable to squatters and break-ins. Boarding up property can also be unfavourable and can have a negative effect on the local community and the surrounding area. Additionally, there’s the issue that unused buildings often deteriorate in condition if left vacant for a long period of time. Traditional property security can be expensive, so Guardians offer an alternative solution. Q: How many people are acting as Property Guardians in the UK? A: There are currently an estimated 7,000 to 10,000 people living as Property Guardians across the UK, according to the UK’s leading property resource Zoopla. And in a recent census of the Property Guardian sector, its clear that Guardians come from a diverse range of professional backgrounds – 30% of Property Guardians are key workers. While it is considered a relatively new phenomenon in the UK, Property Guardianship has been widely used as a solution to many property security issues in the Netherlands for a number of years now. In the Netherlands, around 20,000 people are living in low cost properties that would otherwise be redundant thanks to Guardianship. Q: What property security issues can Guardianship help prevent? A: Vandalism, metal theft, squatting and arson have become particularly prevalent issues in the UK over recent years. Not only is vandalism unsightly for local communities, but also costs property owners and local councils thousands to remove. Preventing vandalism where possible (by taking precautionary measures such as placing Guardians in properties) can save time and money in the long run. Allowing property Guardians to live in a vacant property helps to strengthen entry points against intruders, keeps a steady stream of people around the property and ensures buildings are not visibly empty. Guardianship also ensures public buildings – some of which have historic and architectural significance – are protected. Local authorities are also accountable for the use of their empty buildings; Guardians ensure properties are not left unoccupied while the UK is in the midst of rising rents. Property security is significantly enhanced when using the services of Guardians. Q: What does my property need to have to host Guardians? Guardianship is suitable for any commercial or residential property that is water and wind proof and that has electricity and water active. DEX manages all types of property including unused hospitals, churches, and office blocks schools to name a few. Many of the buildings that house Guardians are based in sought after locations, meaning a monthly fee for a Guardian that’s much cheaper than traditional rent, but also security for a property that may otherwise be sought out by squatters or burglars. It isn’t just the capital and major cities that Guardianship is confined to; there are Guardians all over the country looking for vacant buildings to temporarily call home. Q: What is the PGPA? A: Such is the increase in Guardianship in the UK over the last few years; the Property Guardian Providers Association (PGPA) has been formed to give an industry standard to properties. This includes making sure buildings meet safety and standard requirements. 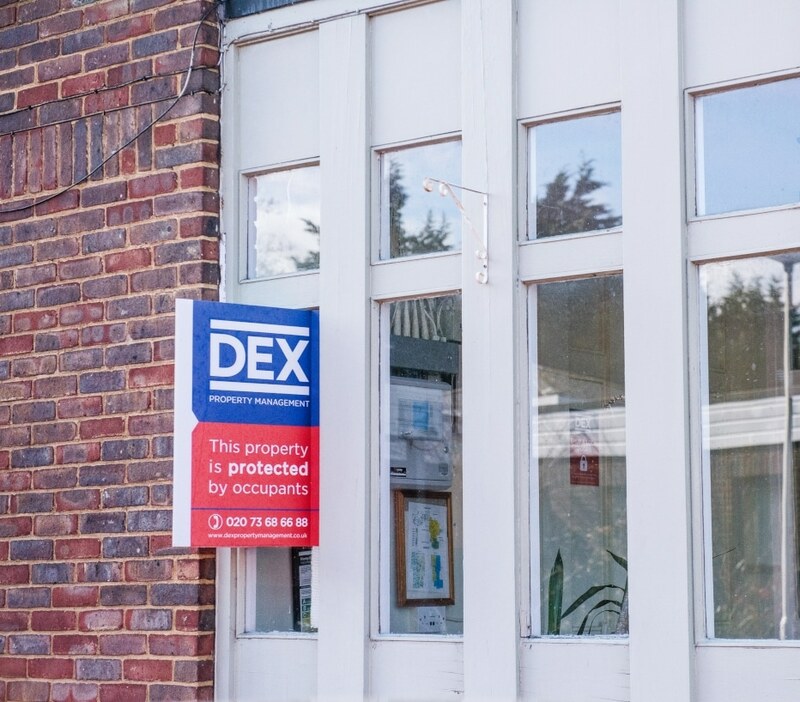 As a founding member of the PGPA, we at DEX have more than 10 years’ experience helping Property Owners and local authorities ensure vacant buildings are secure and protected through the use of Property Guardians. Q: What is the process of getting Guardians in to an empty property? A: The process of turning your building in to a Guardian friendly property isn’t lengthy and is tailored to your property. At DEX, we have a team of Property Managers who will conduct an initial site visit to determine what requirements need to be met. Facilities Managers or Property Owners then receive a bespoke report for their property, outlining what needs to be done to prepare the building and our team will then set about fitting the property with the appropriate appliances. In the majority of cases works are carried out by DEX and at no cost to the Property Owner. We can safely say we have Property Guardian occupation and the property secure with a maximum of 10 working days. In many instances we can also offer a Flex Guardian service which means a Guardian could be living in your property within 24 hours while it is awaiting full occupation. Q: Why should I choose DEX? A: We currently work with 50% of the G15 housing associations and have been entrusted to place Guardians in a wide selection of different properties. We manage large scale regeneration projects with 50 plus Guardians through to 1 bedroom flats. Some of the more unusual placements include an adapted convent and old dairy in Ladbroke Grove, and a police station. We also offer fast turnaround times for placing Guardians in empty properties and making them habitable. We take care of your property security and our Property Guardians, making our team the perfect fit to help keep your property safe.